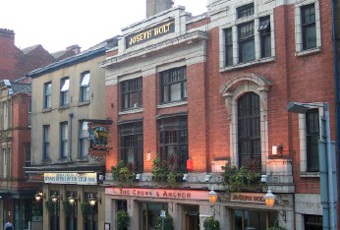 General information: One of the oldest pubs in Manchester, this Holt's pub was originally built in 1793 although it has been rebuilt since. 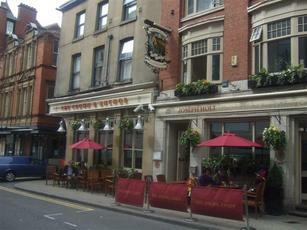 Holts pub in a fairly lively area near to the Arndale Centre. The pub seems to focus on food. But there are 6 ales. On Saturday lunchtime, these were Holts Bitter, IPA & Two Hoots, Booteg Racketeer & Twisted Grove & Fullers London Pride. So no dark ales and no ciders either. There's plenty of seating. But it was fairly popular. So finding a perch wasn't easy. The interior is fairly bland. There are better pubs nearby. Great city centre boozer. Not particularly characterful interior but more than made up for by the convivial atmosphere, good beer, friendly Mancunian service and an opportunity to watch the only football team in Manchester net seven. 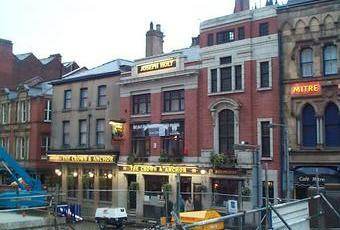 another average boozer around this part of town. It's a shame that Holts beer cannot be served in glass because of the idiot minority. I like this pub. The interior is not great by any means... unsympathetic and slightly bland but the Holts beer is very good. 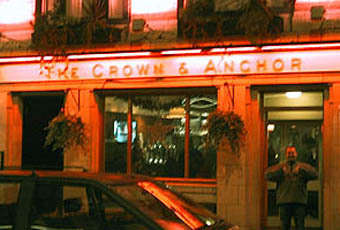 Prime city centre location could mean this pub could get away with being a bit average but it's actually pretty good. Have to agree with the recent reviews,the interior is a let down after the excellent exterior..Holts mild well kept,I am sure the bitter also.I tried a Holts Manchester brown ale which was excellent a real 1960's taste from the days when all British breweries produced tasty bottled beers.